The great thing about Maui, actually all of Hawaii, is that the beaches are all public. There are no private beaches, parking is free, although limited, and the beaches are beautiful, pristine environments. 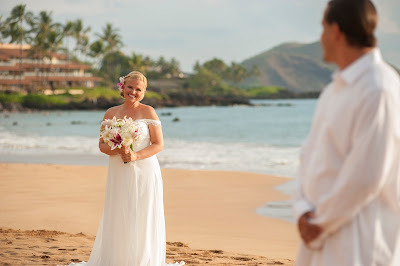 That being said, we have some of our own rules regarding Maui Beach Weddings: The main one is that we will not perform a ceremony on a public beach for more than 25 or 30 people. There are several reasons for this. Parking is the main one. The comfort and satisfaction of our couples is another. A large group leaves a big footprint and since there are always other people on the beaches (They are public), a large group has a hard time fitting on a beach. Also, a large group will not be able to hear even the loudest officiant, especially when competing with the sounds of wind and surf. 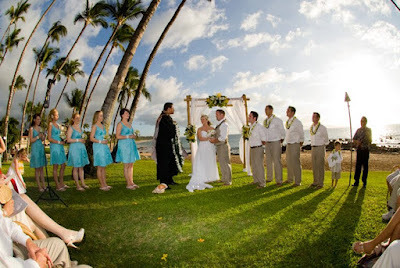 Since we are not allowed chairs, arches or any types of "props" on a public beach, a semi private or private venue is an ideal place for a large group. We can have chairs, arches, etc., all in a lovely contained outdoor environment (most private venues include a covered back-up in case of rain) where you will be comfortable and your guests will be able to hear and enjoy the proceedings in comfort. 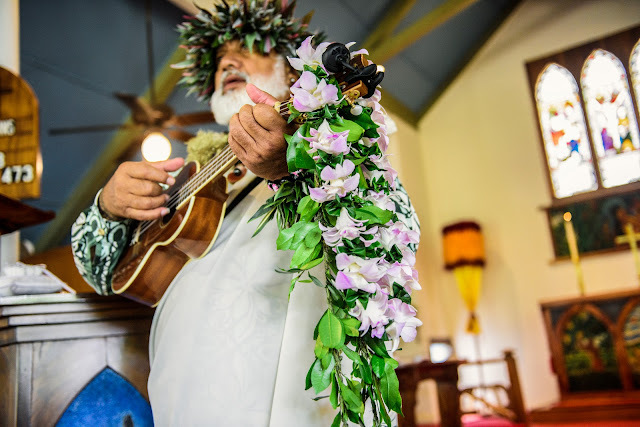 Some of these venues are relatively inexpensive, parking is more than adequate and there are facilities including washrooms and, of course, a place to have a quick Mai-Tai. 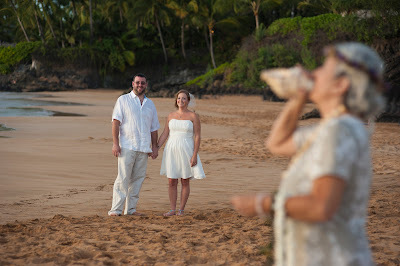 So feel free to call us about your Maui Wedding Plans no matter how large a group you have. We will steer you in the right direction.